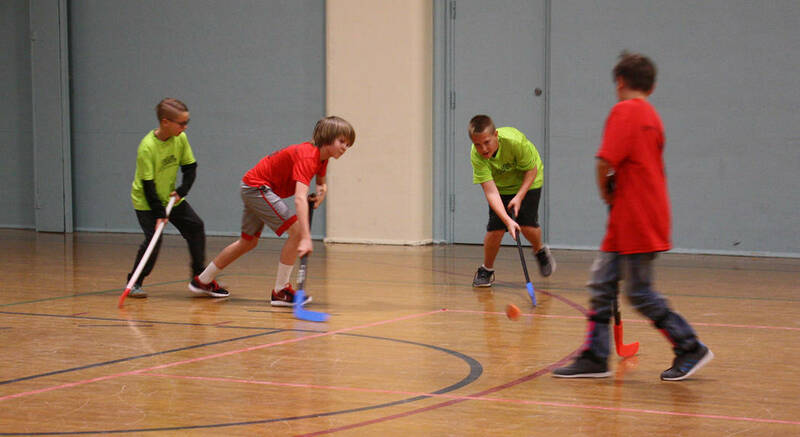 The Boulder City Parks and Recreation Department’s youth floor hockey league for third- through sixth-graders came to an end Monday, April 23. The Green Machine, the Avengers, the Plundering Puckaneers, the Sharks and the Knights (of course) all proved to be talented and competitive, said Kelly Lehr, sports coordinator. The Vegas Golden Knights were an inspiration, and staff members look forward to more floor hockey next year. Youth recreational baseball will begin games May 10 after 5:30 p.m. opening ceremonies on Pratte Field at Veterans Memorial Park, 1650 Buchanan Blvd. T-ball and coach-pitch games will be played Tuesdays and Thursdays on the grass at Veterans Memorial Park’s Pratte Field, while the older players will play Mondays and Wednesdays at Hemenway ball fields. Games begin at 6 p.m. and will be played through early June. Parks and recreation has four T-ball teams, four coach-pitch teams, three third- through sixth-grade softball teams and three baseball teams. They are sponsored by Boulder City Community Club, Boulder City Elks Lodge No. 1682, Boulder Dam Credit Union, Boulder City Sunrise Rotary’s Wurstfest, Renewal by Andersen, Boathouse II Storage, Hope Church, San Diego Gas & Electric, Frank’s Barber Shop and Parsons Auto Body. Synergy is leading the parks and recreation department’s women’s volleyball league as play begins to wind down. There are two more Mondays of league play before the double-elimination tournament begins May 7. Synergy is undefeated with an 8-0 record, followed closely by Volleygirls (7-1) and Heavy Hitters (7-3). Games are played at 6:30 p.m. in the new gymnasium at the recreation center, 900 Arizona St. The adult coed softball league is in full swing, said Kelly Lehr, sports coordinator for the city’s parks and recreation department. T.Q. Pallets is in first place with a 6-0 record, trailed by Boulder Dam Brewery (4-2) and Lakefront Pool and Contracting (4-2). Adam’s Team (3-3) is in fourth place, followed by Boulder Dam Credit Union (1-5) and the Backstop (0-6). Teams face off Sunday evenings at Hemenway ball fields through July. Games begin at 6 p.m. and are played until 10 p.m.